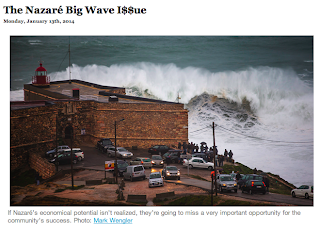 I did wrote about Peniche the day after Hercules hit.This is a bit of what happen the first day, the big monday. What we were trying to do was have bigger pwc than my 2 strokes. But We will go through this situation buying a big pwc and we know already how to have all the logistic done. But even if we could had the pwc that afternoon, not sure we had could be able to ride a giant storm monster and more than that 17:10 in the afternoon with a sunset at 17:30.